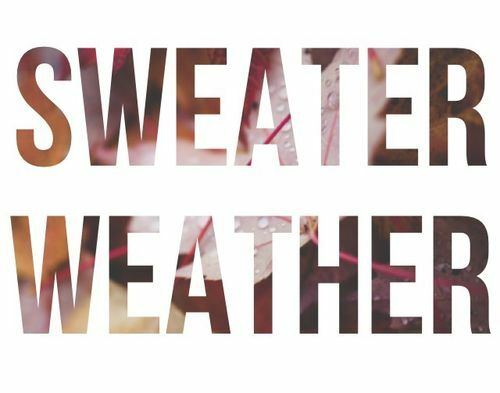 Tag Tuesday | Sweater Weather Tag! I love a good tag post even though it feels like I've probably done them all by now and I'll just start going back to older ones and re-taking them! Well I managed to find a tag over on Molly's blog Molly Mac, where I don't actually think I've ever done before. So of course I had to steal it and take it for myself! Amber Moon from Yankee Candle. SO gorgeous! I would love to say hot chocolate because the thought of it just sounds amazing, but unforunately I cannot stand any hot drink. So I'll have a water! Probably trudging through all the leaves to get to fireworks show. I used to go every year with my grandparents and cousins. Dark lips definitely. I wear winged eyeliner nearly everyday but dark lips is definitely perfect for Fall! I don't have a specific Autumn/Winter perfume but I do prefer warmer and slightly muskier scents. We don't really celebrate Thanksgiving in the UK but for Christmas it's definitely got to be Turkey and chocolate! Not together obviously! Very cold and normally slightly windy. I live next to a nature reserve so there's lots of trees which means our gardens will be full of fallen leaves! It's actually a cardigan but it's a thick beige knitted cardigan and I wear it with pretty much everything! I normally tend to go dark in the Fall season and once of my faves at the moment is the Avon Gel Nail in Wine and Dine Me shade. It's a gorgeous burgundy shade and it's perfect for Autumn! I've never jumped in leaf piles as I have a fear of dog poo being hidden underneath so I'd say football! Or mixing the two and kicking the leaf piles! I do tend to wear my jeans more in the Winter but I do still love my leggings with thick knitted dresses. I personally don't think so but that's just my opinion! I don't really have a "Fall" tv show but two of my favourite shows have started again; Bob's Burgers and The Moaning of Life so I'll definitely be watching them! Let it fall. Though I don't get it because it's like a rip off of Frozen! Once again, I don't really have a "Fall" song and the only thing I can think of is Christmas songs! Ooooh I like the look of this tag! I might have a go at it :) I'll have to see if I can find Amber Moon next time I'm in the Yankee Candle store, I don't think I've seen that one yet.